Spring has sprung! The weather is finally nice. Now is the time to venture outside and enjoy the great outdoors. Getting outdoors provides great benefits for your loved one, who has been cooped up inside for months. Sunshine generates Vitamin D, which is necessary for brain, bone and muscle function. Being outside also provides your loved one with important social interaction, be it with friends, children or animals. If the older adult in your care has health problems, he or she may have a hard time starting or consistently doing exercises. Those health problems may reduce energy levels or make activities feel too difficult. However, there are easy exercises for those who do not have much energy or do not feel well. Getting started is the hardest part. You can help your loved one start at a lower level that he or she can tolerate before building up to recommended levels of activity. Workouts Can Work Wonders…No Matter How Old You Are! 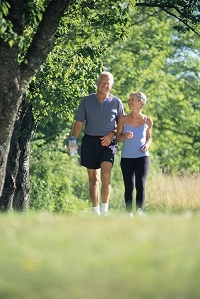 Regular physical activity can improve the health of older adults. 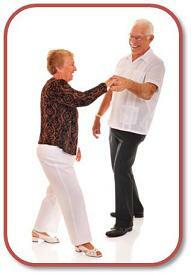 Being physically active can help improve balance and reduce the risk of falls. Exercise will help an older person lose weight if he or she is overweight. If your older parent needs to gain weight being active can improve her appetite and build muscle and strength. A good workout also leaves a person with a sense of accomplishment and well-being that lasts throughout the day. Men are often more likely to ignore their physical health and wellbeing than women. According to aging experts men frequently put off regular physical exams, forget to take their meds, fail to get vaccinations, exercise, or eat a healthy diet. Men are more likely to smoke or drink alcoholic beverages than women and frequently put off doctor's visits for as long as possible. No matter how old you are regular walks can improve the physical and mental health of both yourself and your relative that you care for. Walking can be done almost anywhere. A good pair of walking shoes is the only equipment required. When your feet hurt you fell miserable all over. Unfortunately foot disorders are a common part of growing old. Almost 80 percent of people over 50 have at least one foot problem. Three out of four people 65 and older complain of foot pain. Painful feet are a common cause of falls and may limit older adults' ability to walk and care for themselves. Healthy feet will make your relative feel better all over!